I have a friend who loves me, or so he recently told the Daily News; and I love him, too. We were incandescent young men at Columbia together, and he is now senior vice president for marketing and publicity at Farrar, Straus and Giroux, one of the honorable remnants of what used to be known as publishing. Insofar as my friend toils to keep his indispensable firm alive against the sick desire of a technologically intoxicated and economically panicked society to see its highbrow institutions hobbled or dead, he is a force for cultural good, a figure in the resistance. But I am not sure that he thinks the same of me. When a reporter with nothing better to do unearthed the shattering fact that I was about to publish in these pages an acidly critical review of Freedom, my friend, who is Jonathan Franzen’s publisher, conceded to her that “everyone’s entitled to his opinion,” and proceeded to explain that I “specializ[e] in drawing attention to [my] pages through consistently negative reviews,” and so Ruth Franklin’s demurral about Freedom may be dismissed as “business as usual.” I dislike the suggestion that the stringencies in my pages are motivated by considerations of marketing—that is my friend’s line of work, not mine—but otherwise he is right. These pages are more stringent than not. They are not always negative, but they are often negative. You see, I pride myself on this negativism. I would like my friend to understand why. I was not aware that it is a heresy to hold that Freedom is not a masterpiece. There is something churlish about my friend’s insistence upon critical unanimity. Franzen’s book, after all, is fantastically popular. It is commercially immune from literary criticism. I am pleased that Franzen’s profits will accrue to a company that may be counted upon to apply them to the production of serious books by serious writers that will not attain similarly to the proportions of a pandemic. But if it is indeed a heresy to differ about Freedom, then I confess to being inclined against it. In his slyly invigorating essay on “the pleasure of hating,” Hazlitt complained that “the reputation of some books is raw and unaired,” and noted that “the popularity of the most successful writers operates to wean us from them, by the cant and fuss that is made about them, by hearing their names everlastingly repeated, and by the number of ignorant and indiscriminate admirers they draw after them.” Celebrity is not a literary value, and I do not believe in the wisdom of crowds. I think that crowds—well-read ones, too—are foolish and fickle. They are especially foolish when they regard themselves as a coterie. Their tastes need to be scrutinized with a hermeneutical hostility, because they are so easily invented and so easily manipulated. This is especially the case in a society consecrated supremely to promotion—that swoons over the pseudo-sagacity of Malcolm Gladwell, and regards people and the expressions of their souls as brands, and confuses techniques for marketing with techniques for living. The sales of Freedom say nothing about the qualities of Freedom. Has the book struck a chord? Of course. But that is anthropology, not literature; and nothing is more forgiving than anthropology. So a few words should be said for the higher spleen. A negative review of a book is often not an attack, but a defense against an attack—a retaliation, or, if you will pardon the Begriff, a negation of a negation. The “hatchet job” is sometimes the second hatchet on the scene. A book arrives that in the opinion of the reviewer outrages a principle of politics or philosophy or history or art, and will lead its readers into error or illusion, and will coarsen discourse or experience—for such are the stakes in books, the power of books, and the real nihilism is to deny it. Why should such a book not be received combatively, if the combat is honestly joined? A shabby treatment of a consequential subject or a significant form is a corruption, and it is the mark of a reviewer’s depth of conviction, and of her knowledge, to treat it as such, to fight it. An opinion about a book is an opinion about the world. Anger at the false and the fake—as long as the labor of persuasion is done: a curse is not an act of criticism—is an admirable anger, because it is the heat of a cause, and our causes are the spurs of our culture. No culture, no literature, ever advanced by niceness. Literature is a felicity, but it is not a festival. It is a proposal, or an infinity of proposals, for an emendation, or a transformation, of consciousness. It commends ideals of seeing and ideals of feeling and ideals of thinking, and even ideals of living; and no such instructions should be exempt from strenuous and unsentimental judgment, from the foul tempers of thoughtful people, or else nothing will weigh anything and we will be only compilations of the trends of our time. Look around you: the compilations fill the streets. I do not say this maliciously. They are reading what they are told to read by this blurbing world. They are acting on the guidance they get. That guidance originates in a literary and literary-critical world that is amiable, bland, clubby, pious, careerist, relentlessly cheerful, desperate for numbers, suavely relativizing, and awash in worthless praise. A universe of invitations and congratulations, of pals and candidate-pals appreciating and mythologizing each other. 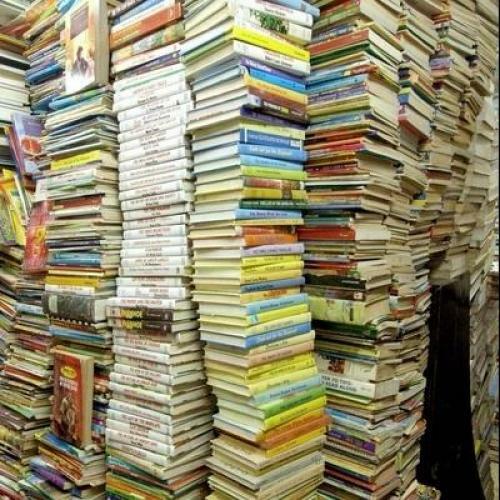 Books are generally assessed only internally, for what “works” and what does not “work,” with synopsis usurping analysis, politely against the background of the author’s literary or personal history, and almost never for the sake of a larger concept, a transcending idea, to which the review, if not the book, should owe its life. Reviews without inner necessity extol books without inner necessity. Every once in a while, when I read that a novel is the best work that a writer has “given us,” I dutifully pick it up, so as to ascertain what is this gift that I have been given; and too often I put it down, discouraged and deceived, because for all the energy of its writing and the diligence of its research it seems less moving or illuminating than, say, “Eleanor Rigby.” It is not the responsibility of the critic to lift the spirits of the writer or the publisher. Anyway, bad news is more stimulating than good news; and acrimony may contribute to keenness of mind. So yes, dear Jeff, business as usual: contention without end; an excess of ambition and pride in the making and taking of books; exhilaration in the quarrelsomeness about things that matter; the disturbance of the peace. Rather like your business, in fact: the seriousness trade. In the age of one hundred and forty characters, we sink or swim together. Leon Wieseltier is the literary editor of The New Republic. This article ran in the October 14, 2010, issue of the magazine.